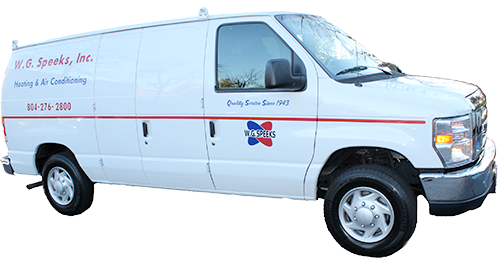 For over 75 years, families around Richmond, VA have turned to the experts at W. G. Speeks Heating and Air Conditioning, a Carrier Factory Authorized Dealer. Our team of experienced professionals can repair or replace air conditioning units, heat pumps, boilers and furnaces. We also provide commercial HVAC services, indoor air quality assessments, and duct cleaning services.To request service please call 804-276-2800 to speak directly with one of our staff or fill in the form below and we will contact you shortly.